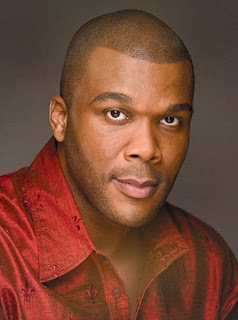 Recently, Tyler Perry shared with the world that he had been both physically and sexually abused as a child. He wrote at length about how watching the movie Precious brought about a surge of emotions that he had never experienced before, and forced him to deal with the pain of his past. The title character in the movie is a 16-year-old girl who suffers cruel and unusual abuse by her mother. This storyline apparently mimicked Tyler’s personal experiences, and allowed him to face his own fears. Tyler’s father was not only abusive towards his mother, but reportedly also physically abused Tyler. He recalled that on one occasion his inebriated father beat him with a vacuum cleaner extension until the skin came off of his back. In addition to the drunken beatings by his father, Tyler indicated that he was sexually abused by both a woman and a man on separate occasions, and witnessed his father attempting to molest a young female friend. The truly sad thing is that Tyler’s story is not unique. In fact, it’s far too common. An estimated 39 million survivors of childhood sexual abuse exist in America today. However since most abused and neglected children never come to the attention of government authorities, the official government statistics do not indicate actual rates of child abuse. One of the reasons that sexual abuse goes unreported to the authorities is because children often do not tell even when asked. That is why it is important to know the possible warning signs. You should take heed if you see any of the above behaviors in your child because they are a likely indication that something is wrong. It may not necessarily mean that your son or daughter is being abused, but it does mean that they are in distress and need your help. 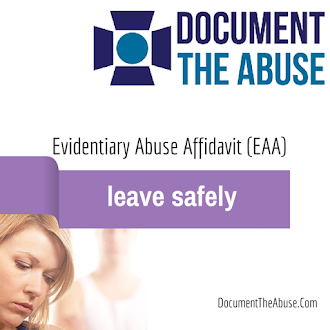 If you do find that abuse has occurred, make sure to act immediately! Reporting the crime to the law enforcement agencies is crucial because the majority of sexual offenders are family members, or are otherwise known to the child. Thus, they will continuously have access to your child as well as other children in the community. Most importantly, by choosing not to report sends the wrong message to the child, as your silence may be viewed as acceptance. Research has shown that the way a parent reacts to finding out that their child has been molested greatly impacts how their child will heal. Let them know in no uncertain terms that you do believe them, and that it was not their fault. Next, make sure that they receive therapy to address the significant trauma. Although immediate therapy is the best-case scenario, many adults who were previous abused have never dealt with the emotions associated with their trauma. Much like Tyler Perry found, it is difficult to run from these memories and emotions. As a result, many adults use alcohol and drugs to help numb the pain….but it always seems to lie just under the surface. Regardless of your age, you can begin your journey toward healing. Try not to be afraid of the hurt and pain that you feel, but instead address them. Speak to a therapist, or join a support group to meet the countless others who share your story. Just remember that you are not alone, and that it is possible to live and love without pain. With time, you will find that inner peace will come. Gaétane is a certified School Psychologist who works closely with the inner-city youth and their parents. She is an advocate of children’s rights and strives to help parent achieve healthy, harmonious, and emotionally stable environments for their children. She is a sought after media consultant, and is often featured in print, radio, and television. Gaétane is the President of the organization called Peas in Their Pods, which spreads awareness about the epidemic of child abduction in the African American community. In addition, Gaétane touches the lives of children by serving as the spokesperson for the DreamMaker Kids career-training program which inspires children to dream big! Tyler Perry is amazing. I am so glad he shattered the silence of abuse. This occurs to 1 in 6 boys by the time they are 18. This is an excellent & informative Blog! I hope & pray that many parents get an opportunity to read this. The novel "Precious" by author Sapphire is so powerful and heartwrenching. I highly recommend everyone to read it. I look forward to the film premiere ~ It's a MUST SEE! God bless & continue to be a blessing! This is an amazing post. Tyler Perry is awesome for speaking out. My dream is to counsel children who have been abused in any form or fashion and reading this post, just proves that i have my work cut out for me. By God's grace, He can use me to help countless children.